New Delhi: “The new bio-medical waste management rules will change the way country used to manage this waste earlier. Under the new regime, the coverage has increased and also provides for pre-treatment of lab waste, blood samples, etc. It mandates bar code system for proper control. It has simplified categorization and authorization. 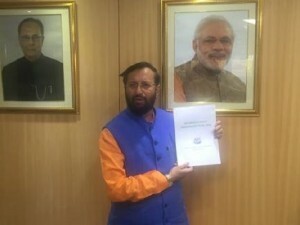 Thus, it will make a big difference to clean India Mission,” mentioned the Union Minister of State (IC) Environment, Forest and Climate Change, Mr Prakash Javadekar while releasing the new Bio-medical Waste Management Rules, 2016. Prakash Javadekar releasing the new Bio-Medical Waste Management rules. No occupier shall establish on-site treatment and disposal facility, if a service of `common bio-medical waste treatment facility is available at a distance of seventy-five kilometer. Operator of a common bio-medical waste treatment and disposal facility to ensure the timely collection of bio-medical waste from the HCFs and assist the HCFs in conduct of training. Biomedical waste comprises human and animal anatomical waste, treatment apparatus like needles, syringes and other materials used in health care facilities in the process of treatment and research. This waste is generated during diagnosis, treatment or immunization in hospitals, nursing homes, pathological laboratories, blood bank, etc. Total bio-medical waste generation in the country is 484 TPD from 1,68,869 healthcare facilities (HCF), out of which 447 TPD is treated. 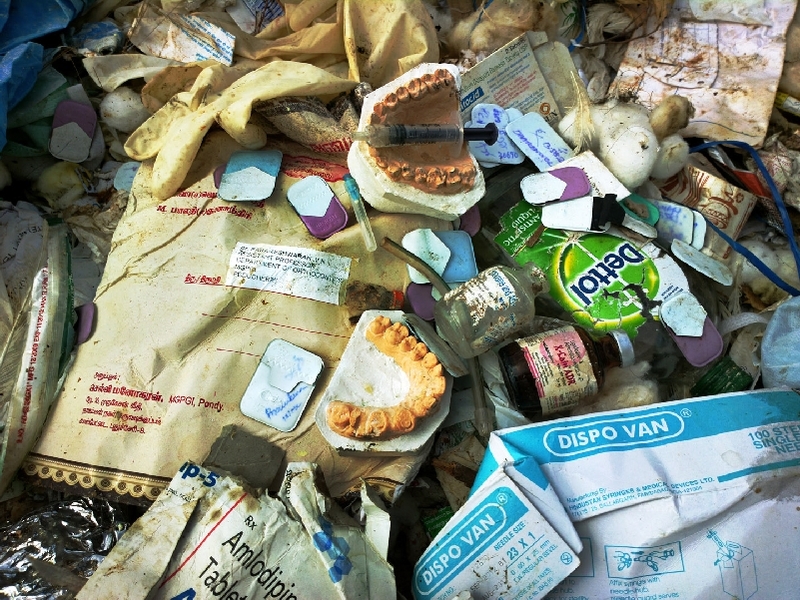 Scientific disposal of biomedical waste through segregation, collection and treatment in an environmentally sound manner minimises the adverse impact on health workers and on the environment. The hospitals are required to put in place the mechanisms for effective disposal either directly or through common biomedical waste treatment and disposal facilities. The hospitals servicing 1000 patients or more per month are required to obtain authorisation and segregate biomedical waste in to 10 categories, pack five colour backs for disposal. There are 198 common bio-medical waste treatment facilities (CBMWF) are in operation and 28 are under construction. 21,870 HCFs have their own treatment facilities and 1,31,837 HCFs are using the CBMWFs. The draft Bio-medical Waste Rules were published in June, 2015 inviting public objections and suggestions. Stakeholders consultation meets were organized in New Delhi, Mumbai and Kolkata.Consultative meetings with relevant Central Ministries, State Governments, State Pollution Control Boards and major Hospitals were also held. The suggestions / objections (about 50) received were examined by the Working Group in Ministry. Based on the recommendations of the Working Group, the Ministry has published the Bio- medical Waste Management Rules, 2016.